Hong Kong, officially the Hong Kong Special Administrative Region of the People's Republic of China, is an autonomous territory on the Pearl River Delta in East Asia. The mainland Chinese province of Guangdong borders the territory to the north. With a total land area of 1,106 square kilometres (427 sq mi) and a population of over 7.3 million of various nationalities, it ranks as the world's fourth most densely populated sovereign state or territory. 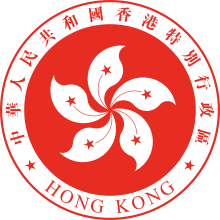 After the First Opium War (1839–42), Hong Kong became a British colony with the perpetual cession of Hong Kong Island, followed by the Kowloon Peninsula in 1860 and a 99-year lease of the New Territories from 1898. Hong Kong was later occupied by Japan during the Second World War until British control resumed in 1945. In the early 1980s, negotiations between the United Kingdom and China resulted in the 1984 Sino-British Joint Declaration, which paved way for the transfer of sovereignty of Hong Kong in 1997, when it became a special administrative region (SAR) with a high degree of autonomy. Today, Hong Kong is one of the world's most significant financial centres, with the highest Financial Development Index score and consistently ranks as the world's most competitive and most laissez-faire economic entity in the World Competitiveness Yearbook. I had believed that spiriting myself to Hong Kong would mean that I wouldn’t have to face racial discrimination anymore. Bewitched by the possibility of transcending the racial totem pole, I only later realized that I had merely relocated to the top, and the view wasn’t what I expected. Being brought up in the United States meant my standards for racial equality were forged in a culture built around the dissent, dialogue, and disruption that the First Amendment vouchsafes. It was only after six years in Hong Kong that I began to understand why people leave their countries to come to the United States. In Hong Kong, "locust" is a derogatory term for immigrants and tourists from China... In turn, mainlanders view Hong Kongers as overly superior and patronising. I have a confession to make. I am a “locust”. I qualify because I was born in the mainland, and I am now living in Hong Kong... Hong Kong people think they are superior to their mainland brothers and sisters, and some politicians perpetuate this myth by frequently repeating the slogan: “We don’t want to be another Chinese city.” I think their superiority complex is wholly unjustified... I am not a fan of the young people of today’s Hong Kong. They have poor language skills. Never mind English; many are unable to speak clearly even in Cantonese. And they are arrogant and self-centered... In the near future there will be millions of talented, Western-educated people swarming all over the major cities on the mainland. Many of them will come to Hong Kong, not to shop but to work, and Hong Kong youngsters will be no match for them. Hong Kong was promised 50 years of autonomy. I predict at the end of that period most of the business and academic leaders in Hong Kong will be mainland-born Chinese, and no one will even notice they were not Hong Kong people originally. Things change in 50 years. It has been that long since I left Diamond Hill. Nowadays, no one would guess I used to be a “locust”. Are they not Chinese themselves? I heard that Hong Kong people were educated and civilized. It seems I was wrong.